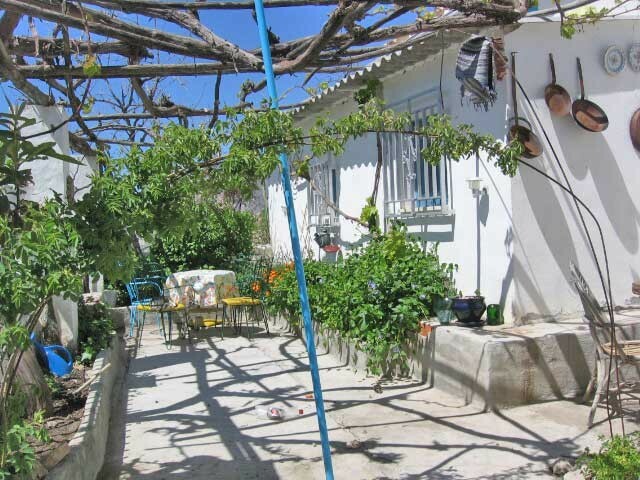 Cortijo Castril 69,950 Euros JUST REDUCED BY 36,000 EUROS FOR A QUICK SALE A very attractive and mosty reformed semi detached cortijo with land situated just above the very sought after town of Castril. The house has 4 rooms downstairs, one of which is being used as a kitchen with a utility room and bathroom attached. Upstairs are 3 large rooms that could be divided to make more bedrooms. Attached to the house is a 40m2 barn which could be incorporated into the main accommodation, this part requires a new roof but is genrally in very good condition. There is also a large storeroom on the ground floor which would make more guest accommodation. There is around 1,500m2 of land from which you can see the Sierra de Castril and far reaching views. And to the front there is an enclosed patio area that could be really pretty. There is a small parcel of land to the front of the property which would make a great vegetable patch. Behind the property and accessible from the first floor the barn there is a large enclosed and totally private courtyard which would be great for guests. This property would be great family home and with a some work carried out would make a great bed and breakfast and has been priced to sell really quickly and early viewing is highly recommended. Page took 0.389700 seconds to load.